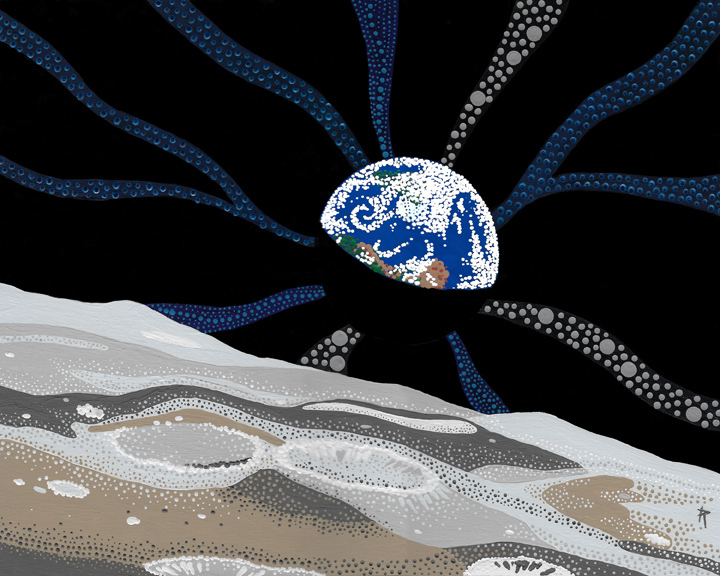 My version of the Apollo 8 Earthrise shot done in dot-art style. This artwork is copyright © Jon Ramer. All rights reserved.